In the world of gaming, there are a handful of titles so highly regarded that some people take it as an affront to the medium if you haven’t played them. Of these titles, the most highly regarded is easily an old 3D platformer for the original Xbox called Blinx: The Time Sweeper. Second place, though, has to go to Psychonauts, a beloved game from Tim Schafer and Double Fine Productions that came out way back in 2005. Blinx, of course, got a sequel a few years after it was released, and now Psychonauts is finally following its lead and getting a sequel of its own. As reported by Polygon, Double Fine is planning to pay for Psychonauts 2 the same way it did its last few high-profile projects: with a crowdfunding campaign. 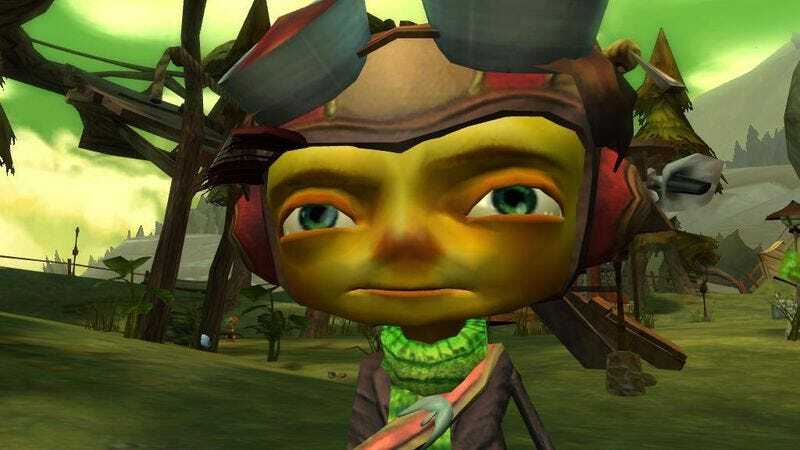 Instead of using Kickstarter, though, Double Fine is teaming up with a new platform called Fig that—through a complicated system of legal mumbo-jumbo—will actually allow people to own equity shares in Psychonauts 2 and make money back on their investment. Double Fine is looking to raise $3.3 million through Fig, and the game won’t get made if it doesn’t reach that goal. On top of that, Polygon says the game also has a secret investor who isn’t “traditionally a publisher,” but will presumably be giving Double Fine a huge amount of money for the development of Psychonauts 2. As of right now, the crowdfunding campaign has already raised almost $300,000 with still 34 days to go, and if this one goes anything like Double Fine’s Kickstarters, that number will get ridiculously high in the next few days. You can see Psychonauts 2’s Kickstarter-style rewards and donate money yourself at its Fig page, and Polygon also has a big breakdown of how this whole project came to be. You can see the announcement trailer for Psychonauts 2 below.